When Will the Mueller Report Be Released? When Will We Be Able to Read the Mueller Report? The hour has finally arrived. Nearly two years after Deputy Attorney General Rod Rosenstein tasked Robert Mueller with leading an investigation into Russian interference in the 2016 election, the special counsel has delivered his report to the Justice Department. Now, Attorney General William P. Barr is thumbing through Mueller’s findings, the White House’s spin doctors are putting on a pot of coffee, political journalists are mourning the untimely deaths of their weekend plans — and you, dear reader, are searching for an answer to one simple query: When will we get to read what Mueller has written? • In a letter to Congress Friday evening, Barr announced his receipt of the report, and said, “I may be in a position to advise you of the special counsel’s principal conclusions as soon as this weekend.” In other words, it seems that we will see a summary of the report (albeit, one prepared by Donald Trump’s handpicked attorney general) some time within the next few days. 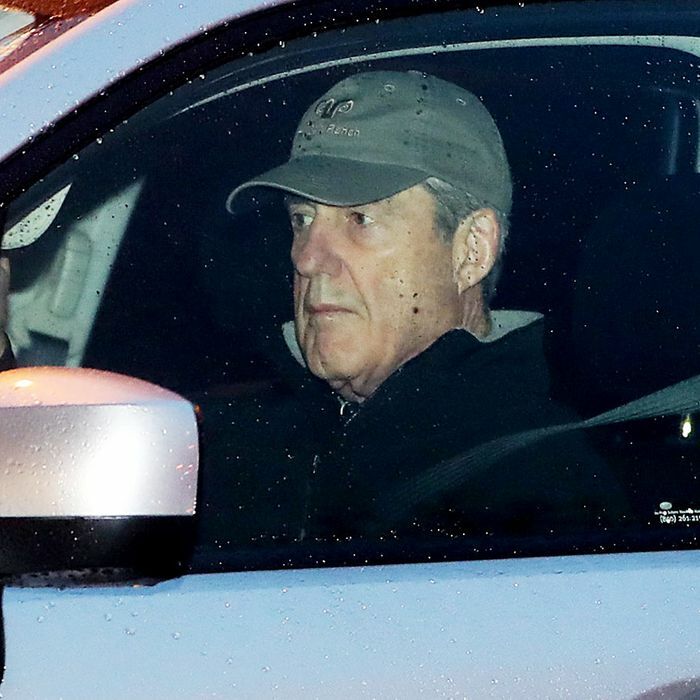 But already, some news outlets claim to have been tipped off to some of Mueller’s “principal conclusions.” According to CNN’s Laura Jarrett, Mueller’s report does not recommend “any further indictments.” If true, this would not necessarily mean that the report does not implicate president Trump in any criminal wrongdoing. Many legal scholars believe that a sitting president cannot be indicted for a federal crime, even if there is probable cause to believe he has committed one. That said, it seems reasonable to suspect, based on Jarrett’s reporting, that there will not be any enormous bombshell in Mueller’s findings. • Earlier this month, the House unanimously approved a nonbinding resolution calling for Mueller’s report to be released to the public. Ultimately, the decision about whether to honor that request lies with Barr. But he is expected to release some version of the report — after taking a few weeks to study it, and to redact any information from it that is either classified, or sourced from a grand jury. • The White House may have the opportunity to review Barr’s redacted report, and look for information that it can withhold on grounds of executive privilege. • In his letter Thursday, Barr revealed that Justice Department officials never deemed any of Mueller’s investigative actions as being too inappropriate or unwarranted to be pursued. Barr would have been obligated to report any such instances to Congress, had they occurred. His disclosure suggests both that the White House will have a difficult time delegitimizing Mueller’s probe, and that Mueller encountered little direct political interference during his investigation. • Many of the criminal cases kicked up by Mueller’s investigation have not been completed (including the prosecution of Trump campaign associate Roger Stone for lying to Congress). Other federal prosecutors will continue working those cases in the coming months. • You can review the Mueller investigation findings that have already been made public here.